Teradek has introduced the Ace 500, an affordable zero-delay wireless video system for budget-conscious videographers. Built with the same reliable wireless technology found in the industry-standard Bolt product line, the Ace 500 offers an ultralight, streamlined experience at a more accessible price point. “Ace 500 was designed for independent creatives beginning to incorporate wireless video into their workflows, or for those operating within strict budgets who still need a reliable video link,” explained Greg Smokler, VP Products for Teradek. Ace 500 transmits uncompressed 1080p60 video up to 500ft. line-of-sight with less than 1ms delay. The units feature HDMI input/output and can be powered via the 3.5mm barrel input using either a PTap/2pin power source or one of several battery plate accessories available. What makes Ace 500 more versatile than the competition is its compatibility with Teradek’s Bolt ecosystem, allowing users to transmit and receive video from any Bolt 500 or SmallHD FOCUS 500 transmitter/receiver. Teradek designs and manufactures high performance video solutions for broadcast, cinema, and general imaging applications. From wireless monitoring, color correction, and lens control, to live streaming, SaaS solutions, and IP video distribution, Teradek technology is used around the world by professionals and amateurs alike to capture and share compelling content. Creative Solutions, a division of the Vitec Group plc, is comprised of several businesses that design and manufacture premium products for broadcasters, film and video production companies, and independent content creators. 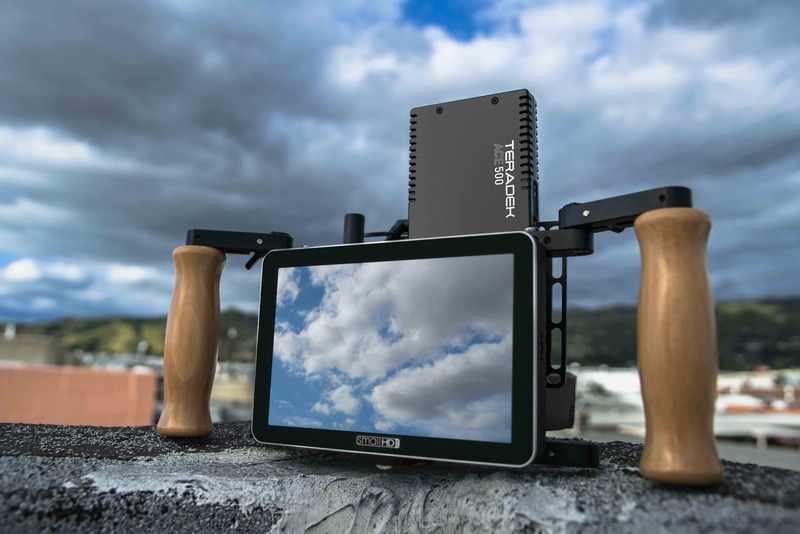 Manufacturers include Teradek, SmallHD, and Wooden Camera, as well as the former businesses of Amimon, RT Motion, Offhollywood, and Paralinx. Headquartered in Southern California, USA, Creative Solutions (CS) designs and manufactures premium products for film and video production companies, broadcasters, independent content creators and enterprises. Comprising the brands Teradek, SmallHD, and Wooden Camera CS products are used around the world for film, television, sports, news, live events and online streaming. CS has manufacturing and R&D centers in the US and Israel and our products are available via our global partners and our own websites. Vitec is a leading global provider of premium branded products and solutions to the fast moving and growing “image capture and content creation” market. Vitec’s customers include broadcasters, independent content creators, photographers and enterprises, and our activities comprise: design, manufacture and distribution of high-performance products and solutions including camera supports, camera mounted electronic accessories, robotic camera systems, prompters, LED lights, mobile power, monitors, bags, motion control and noise reduction equipment. With approximately 1,800 employees across the world in 13 different countries, the company is organized in three Divisions: Imaging Solutions, Production Solutions and Creative Solutions. The Vitec Group plc is listed on the London Stock Exchange with 2018 revenue of £385.4 million.